Superb!! Always looking so chic and elegant in all of your outfits! 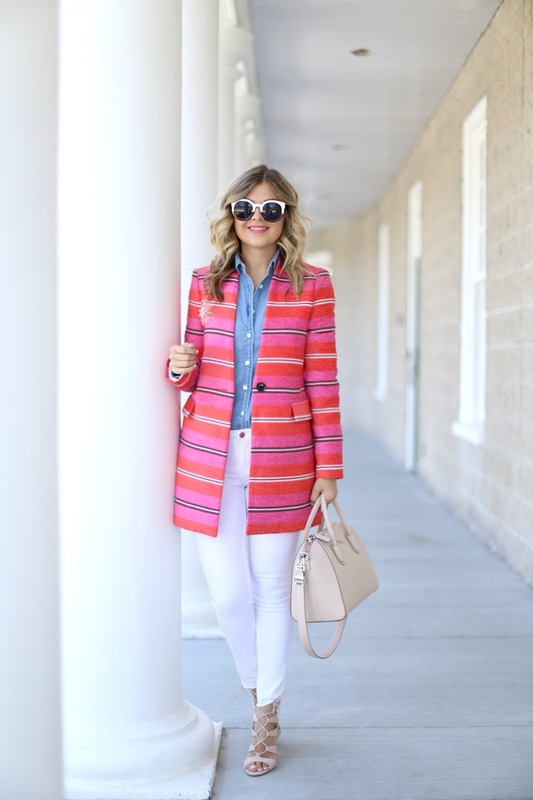 I'm in love with this coat, it's outerwear perfect piece for Spring! I stopped by Banana and that coat caught my eye... I might have to go back now to try it on! Love the bright colors! Oh my gosh!! That jacket is everything!! I love the pops of color! Beautiful photos. I love the jacket. Love that jacket, I really need to get more colour in my life. Love it all! The perfect Spring look. What an amazing coat! I love how this really pops against the white jeans. 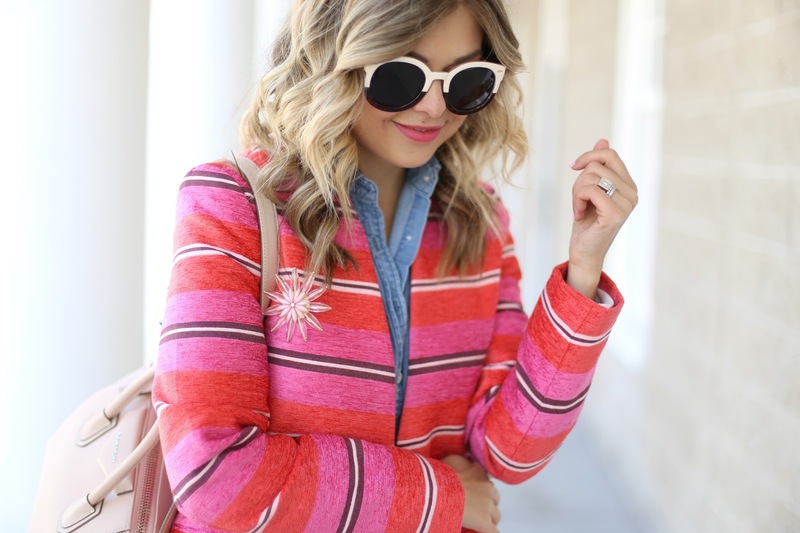 The sunglasses and pin are perfect top-offs to a great look. Such a fun outfit!